When immigrating to the United States, it can be extraordinarily difficult to navigate the wide range of different options on your own. If you will only be staying in the country for a temporary amount of time, a nonimmigrant visa may be the best option to meet your needs. In determining which type of visa is right for you, it is best to seek the assistance of a qualified legal professional. If you need some assistance applying for a visa or if you have an issue that needs resolving regarding your immigration status in Austin, the attorneys at the Law Office of William Jang, PLLC know how important these matters can be to you. Our law office is dedicated to our clients, and we will provide you with the support and representation you need to fully resolve your immigration and visa concerns. The Austin visa attorneys at the Law Office of William Jang, PLLC understand that living and working in the United States can be a dream for many immigrants. However, immigration law can be quite intimidating and confusing, and many people trying to enter the country are unfairly turned down. Although the United States is a nation of immigrants, many qualified individuals are prevented from being productive residents or citizens. Our team of experienced lawyers understands how important your immigration case is to you and your family, and we want to help you achieve your dream of being able to live and work in this country. Call an experienced member of our team at (512) 323-2333 today. If you need an immigration lawyer in Austin, you certainly have a variety of law offices to choose from. How do you know who you can trust to fight for you or your family? How do you know which immigration attorney is right for your case? By selecting an attorney and legal team with the right experience, you can rest easier knowing that your case is in the right hands. Our dedication, compassion, attention to detail, and the desire to see our clients succeed is what sets us apart from other law offices. We give each of our cases our personalized attention to get the results that are needed. 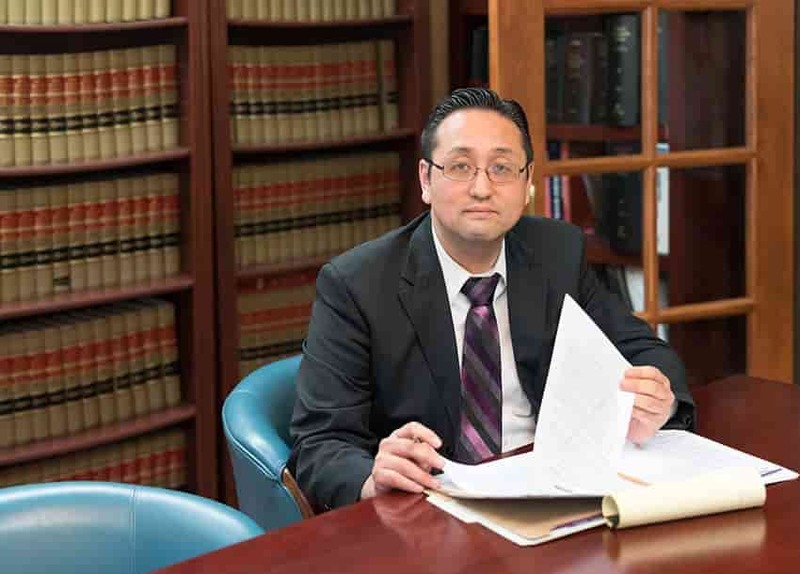 It is our mission to provide the highest level of immigration legal services in the area, and we have the experience, the track record, and the client satisfaction. If you wish to contact the Law Office of William Jang, PLLC by phone, you can reach us at (512) 323-2333. The most obvious and significant difference between an immigrant and non-immigrant visa is the length of stay. An immigrant visa provides the means to stay indefinitely within the United States. A non-immigrant visa is temporary. While some non-immigrant visas provide a means of transitioning to an immigrant visa and a path to permanent residency in some limited circumstances, that is not generally the case and not the purpose of the visa. Instead, they are meant to grant access to work, travel, study, and other special needs within the United States, but on a strictly nonpermanent timescale. Non-immigrant visas may grant access to the United States for varying amounts of time, depending on the purpose of the visit. This distinction also creates different requirements for the application process. While immigrant visas require evidence of a long-term connection or purpose within the country, a non-immigrant visa will involve proof that your stay will be temporary. Such proof may include assurances from your place of work, the school you plan to attend, or proof that you want to return to your home country after a visit. Essentially, there are two basic non-immigrant visa categories: employment and personal. Employment Visas: The United States has a vast number of immigrant workers, but there are also options for those who need to work, explore business opportunities, and invest in the country on a temporary basis. These visas cover a wide variety of work-related activity in many different sectors of the economy. If there is a legitimate business purpose to your visit to the United States, there is likely a visa that addresses your situation. These visas can last anywhere from three months to several years. For some employment visas, the United States places additional limitations on the applicants, such as restrictions on the number of accepted applications in a given year. Personal Visas: These visas cover non-employment needs for temporary visas. In general, these visas allow individuals to study and to travel around the United States. There are also non-immigrant visas available that enable a fiancé or fiancée to come to America with the purpose of marrying their spouse who is a citizen or permanent resident. These visas come with limitations on lengths of stay, ranging from as short as 90 days to the duration of a full course of study. The visas listed above only cover a few of the many non-immigrant visa options. For instance, certain visas allow for transit through the United States for those who cannot enter the country with just a passport. Our team can help you identify the best visa for your situation and apply for it successfully. The non-immigrant visa process is extremely complex, so it is important to get help navigating the visa process. There are dozens of non-immigrant visa options that come with their own unique requirements and limitations. Though they do not provide permanent residency, these visas are no less complicated to apply for or challenging to receive. The applications can be just as long and rigorous, and interviews may be as thorough and extensive as they are for those seeking a permanent stay within the country. This is because officials want to be certain that you will not use your non-immigrant visa to stay permanently in the United States. That is why it is necessary to work with the dedicated visa lawyers at the Law Office of William Jang, PLLC. We can help guide you through the process, starting with choosing the right non-immigrant visa for your needs and then assisting you through the whole application process. The requirements for non-immigrant visas are strictly enforced, and a successful application may come down to applying at the right time and with all the correct information and evidence provided upfront and in an organized manner. It is important that you are successful in your first attempt, as you are less likely to be granted a visa with each subsequent attempt. With so many non-immigrant visa options, it is easy to get lost searching for the right visa for your needs. It is essential to apply for the correct non-immigrant visa the first time and to understand the potential and limitations behind that visa. Contact the Law Office of William Jang, PLLC to discuss your non-immigrant visa options in more detail. What laws govern immigration in the U.S.? The act that governs and regulates immigration laws in the U.S. is the Federal Immigration and Nationality Act. Can a fee for immigration-related services be waived? The U.S. Citizenship and Immigration Services (USCIS) has the discretion to waive a filing fee under the condition that the applicant can establish that he or she is unable to pay. In order for the USCIS to consider waiving the fee, the applicant must follow specific instructions, including completion of a form for review by the USCIS. There is a 30-day period to appeal the decision to the Board of Immigration (BIA). If the BIA denies the request, the matter can be appealed to the U.S. Court of Appeals. If the Court of Appeals also denies the request, it can be appealed to the U.S. Supreme Court. If you are attempting to come to the United States on a nonimmigrant visa, our experienced attorneys can provide you with the assistance you need. Contact the Visa lawyers from the Law Office of William Jang, PLLC, by calling us at (512) 323-2333 to learn more about what we can do to help you resolve your visa and immigrant status issues.